Designed for X-treme training conditions!! The 3500NCP is called the "Super X" because of its X-tra features, its X-ceptional range, and its design for X-treme training situations. The unit is fully waterproof with a one-mile range, and has 127 levels of nick and continuous stimulation, as well as the non-stimulating pager/vibration feature. The rheostat dial allows for gradual adjustment of stimulation. It also features a "Mild" stimulation mode for highly sensitive dogs. The transmitter has an LCD window that displays the intensity level, along with a three-bar battery life indicator. The receiver features antimicrobial plastic casing and surgical stainless steel contact points to minimize irritation to the dog's skin. 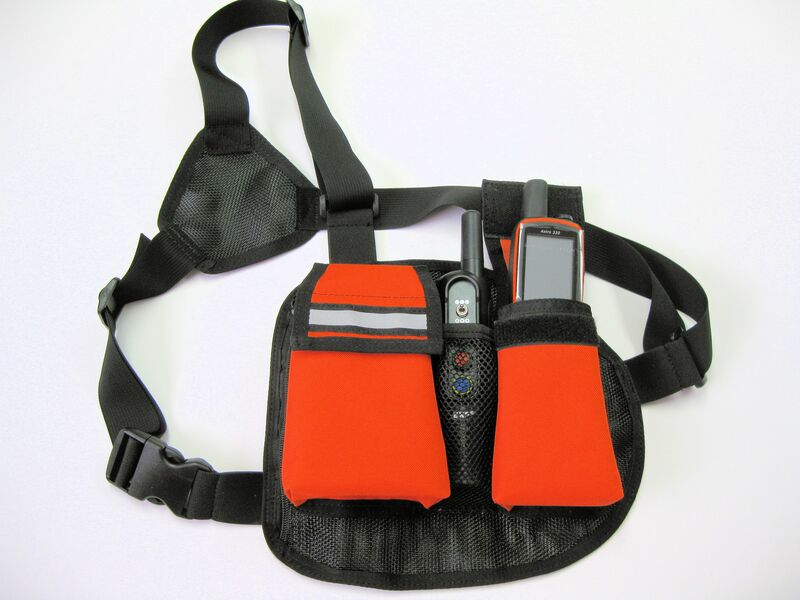 Includes two-hour quick charge Lithium-Polymer batteries, belt clip and lanyard. Also available in a two-dog system: 3502NCP. The 3500NCP Super X sets the standard for X-treme versatility and performance in the e-collar industry. Rheostat dial allows for gradual increase and decrease in stimulation intensity. Nick and Constant Stimulation modes. "Regular" and "Mild" stimulation adjustment for highly sensitive dogs. Rechargeable 2-hour quick-charge Lithium Polymer battery. Illuminated LCD screen displays exact level of stimulation.